Given the recent climate of unconstitutional NSA spying on American citizens, we thought it would be healthy for us to inform you of the many methods that could be used to harvest data from your machines. Sadly there is very little we can do to recommend methods of avoiding these problems aside from passing notes and carefully uttering whispers out of mic range of a cellular device, but this should help you understand how to evaluate technology moving forward to prevent unlawful snooping on your electronic devices. Imagine that spying by your government has been going on ever since computers hit the market. Imagine that every chip on every computer made by companies from far off lands have backdoors for monitoring data that travels through their silicon runways. Imagine all the firmware (the software embedded in those chips that give them life) has tiny lines of code that can respond to commands at any point in the future. Keep this in mind as you use any electronic device. It is routinely said that our government has technology 20+ years ahead of mainstream technology. We’d like to suggest that certain companies have solid relationships with these defense and intelligence organizations and purposely use their heavily designed hardware to ensure that backdoors are limitless. Any device claiming to be safe from spying would have to prove through open source circuit and firmware design that their components have been built from the ground up and without any ties to defense contractors in order to approach the reputation of being secure. The first line of human input into a computer is at the keyboard. Every key that you press is turned into a series of numbers in a chart and relayed into the CPU. This fundamental action is where many spies begin their journey. Your keystrokes can be saved by both software programs and hardware devices like chips that process this data through the bowels of your computer. The average computer CPU contains virtually incomprehensible details in their architecture. The sheer level of storage and routines that a microchip can be configured to carry out is limited only by the designers imagination. You should know that as long as non-encrypted data is traveling into your central processor, it can perform the function of storing, routing, and even decrypting that data should you attempt to secure yourself. It is vital that any computer design in the future keep the CPU at arm’s length to ensure that only encrypted data is allowed in for processing. The memory of your computer (not to be confused with the storage of the hard drive) is a location that can be freely scanned for values. If your program isn’t making an effort to encrypt the value before it enters memory, then the data is wide open for scanning. This includes passwords, document data, and anything else that you are staring at on screen. Future computers will need to ensure that all private information be encrypted before it enters memory chips on your computer. When importing personal information like photos and movies, it is good to note that the software developed by some companies like Apple, impose a feature set that invades your privacy whether you like it or not. iPhoto and iMovie for instance come with a feature you cannot disable that scans all your photos faces, dates, and GPS locations. This data is stored in such a way that intelligence agencies can search your computer for a suspect at will based on a date range, likely location, and with a face in mind. Given that people that tell the truth like Edward Snowden have already received public death threats from acting government politicians, intelligence officers and other military personnel, it is safe to say that being a good person is qualifications for illegal searches of your data. You might think twice before using these products even if they’re free. So you’ve written a letter to grandma, or had a fun conspiracy conversation with your friend, well did you know that every word of your communications and documents that are stored on your local computer have been searched and sorted for easy look up by anyone who has access to your machine? That’s right. There is something called a binary tree that allows a programmer to find one record in 10 million in less than a millisecond. This is what features like OS X’s Spotlight gives your average intelligence agency. Windows has its own version of this that goes nameless. Unless your data is stored securely, it is open market for those trying to use anything you say against you. Transmitting anything over the internet is tantamount to passing an open letter through a crowd of people who want to read your letter. It needs to be noted that no communications, secured or not, are secure over the internet. The NSA can immediately decrypt any communication within milliseconds and create a database of your content forever. Every company on the internet claiming to secure your content with locked web browsers is merely selling you a feeling, and not a function. Because we as world population operate computers with zero encryption built into every component of the machine, your data is eventually stored non-encrypted at the destination server, and any attempts to obfuscate the data is again very easy to decipher back to its original form. Imagine you receive an email from a friend. This friend isn’t evil, doesn’t want your data, and really just wants to know if you’re up for a movie tonight. Little did you know that that message came to your computer over a communication protocol known as TCP/IP, and within the multiple packets to receive that email, your computer received a series of bits (ones and zeros) that weren’t necessary for your email software. They might have been hidden under some umbrella of “error correction bits” that are meant to keep your transmissions complete, but in reality were binary instructions that told your computer to do something. Perhaps send back the last stored up keystrokes on your computer. Perhaps the NSA wants to know how much FoxNews you read, some other piece of private information you are constitutionally allowed to have private. It is these bits that can manipulate software in chips on your computer that can open Pandora’s box for the NSA. Now imagine a method by which your network card or power supply or other peripheral physical adapters can receive power surges and drops along a non-traced coax that signals a certain behavior to your computer or device. Remember those ones and zeros? Well if any of you have seen how a telegraph machine worked, then you know how power surges and drops can be used to communicate instructions to your computer. Imagine your entire hard drive being downloaded over a cable connection you never knew existed? So much for tracking software. Routers are the boxes that make the internet possible. They route information from your computer or device into the network that is the internet. They figure out the fastest path from point A to point B around the world. Every router comes with software built-in called firmware. This software can be updated remotely and configured to do anything the hard ware inside the router will allow. 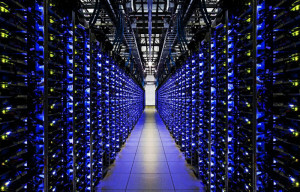 Most namely, route your data to places you don’t want your data, like into massive server farms at the NSA. Many companies like Google, Apple, Microsoft, AT&T, and every other communications company thanks to the Military Commissions act route all their data by law into the NSA servers either by using direct pipes to them, or by storing your data in a location that is harvested on a daily interval. The only way your data can be safely transmitted over the internet is if it is encrypted with multi-level encryption techniques pioneered by legacy methods known as Triple DES using modern giant prime numbers. Sadly, most of us don’t have computers powerful enough to be able to create such secure methods in a timely manner. Computer manufacturers will have to assist us with new encryption chips that are designed to fight the NSA and not provide them cozy backdoors to our data. You might think that you’d be able to monitor all the data coming in and out of your computer. Many devices have this software available, and give the user a sense of control. This software unfortunately is based on cooperation with the operating system. The OS of your device has to volunteer all network data into a listener than can then be sensed by the software trying to help. If for instance a computer company like Apple or Microsoft have backdoor agreements with intelligence agencies either voluntarily complying or being forced by law, there will be data allowed to enter and exit your computer that will not be reported by these listeners. Hardware devices can also be gamed by the methods we spoke of above where binary instructions can enter covertly under the label of error correction bits, or packet headers. Only the firmware inside the receiving hardware knows what this data is to be used for. It is theoretical that a piece of hardware could be created to monitor all incoming data, but the requirements would be microscopic in nature and have to account for every binary bit, and every fluctuation in voltage to the computer from internet connections and power supplies. Nothing is more elusive than cellphone data. It is out of sight, and out of mind, which is why there is such a push for the post-pc era. Intelligence agencies know you have the power to fight on a computer, but you are merely a lame duck user on a cellphone. Your cellphone can transmit images and sound from your cameras and microphone all without your knowledge. This data can be packed up in a special protocol that is ignored by your bandwidth charges on your phone bill. Given that Apple made it trendy to never be able to remove your phone’s power supply, there is a 99.9% chance you are being monitored 24/7 without your permission. Remember, the NSA has publicly stated they are storing every single piece of information they can get their hands on. There is no reason to believe they are drawing the line at your personal data. It should be blatantly apparent that Microsoft and Sony are working with intelligence agencies to make spying on your home a trend. Microsoft, who has recently lost favor with the NSA to mega giants like Google has been trying to fight back and stay relevant with its ability to do something that Google can’t (so far), make kids spy on themselves. As embarrassing videos have surfaced from XBox One customers personal lives being secretly broadcast to the world, the NSA is surely working with other agencies to provide Microsoft with any and all resources necessary to make XBox the prefer game console globally. Always online, always spying will be your mainstay existence if we don’t start refusing to use these products. If you have one in your house, get rid of it. But Your Favorite CEO Said They Don’t Spy! If there is one thing we know is that CEOs never lie right? What these CEOs say isn’t important, it’s what they don’t say that’s most important. Apple and Google’s CEO have stated that they don’t have any backdoors in their devices. They say they don’t give your data away to the NSA, which they actually do by law. What they aren’t saying is that they know for a fact their hardware is made from components that absolutely CANNOT be back doored by spying agencies for they know their devices are wide open. So they cling to this technicality that they aren’t actively doing something that they don’t have to. Their responsibility is to prepare the data for harvesting. These are just some of the fundamental techniques used to spy on your personal life. The extent and creativity to which these methods are implemented in the real world are so vast that you wouldn’t believe a word of it if we told you. Bottom-line: start fighting back now or you’ll end up in THX-1138 before you know it.